Our efforts to change school green cleaning policy started with a simple question: Why not? It was back in 2006 when New York recently passed its green cleaning state law, and here at Healthy Schools Campaign, we just published our first edition of the Quick and Easy Guide to Green Cleaning in Schools. At that point we thought, “Why not create a requirement for Illinois schools to clean for health?” We had no idea where that would lead. Almost 10 years later, the landscape has changed. We have worked in states across the country to support green cleaning policy. And now 10 states have state policies on green cleaning. But 10 states and 10 years later, there’s an important question to consider: Does state green cleaning policy work? Recently, the U.S. Green Building Council (USGBC) looked at these 10 states to see what their green cleaning policies have accomplished. Perspectives on Implementation and Effectiveness of School Green Cleaning Laws is a great snapshot of how states can tackle an environmental health issue. Our review of the paper brought up a few thoughts. First of all, one of our biggest challenges with green cleaning is not knowing what the cleaning landscape looks like. We have 10 states with laws, but we don’t know what most schools are doing in those states, or in the 40 other states that don’t have green cleaning laws. Of the 10 states with policies, only three—Connecticut, New York and Vermont—include any form of reporting or surveying requirements to analyze their implementation. In these three states, self reporting data shows that an overwhelming percentage of schools have local green cleaning policies, and a small sample of New York school audits show that schools are mostly doing it right. While this is good information, it’s clear that to understand the actual implementation status of school cleaning programs, we need more than a limited sample from three states. More importantly, the report suggests that metrics do more than inform effectiveness, they also appear to increase effectiveness. The report cites anecdotal data that the most effective state laws are in states that report data on their green cleaning programs. The implication is that by simply increasing green cleaning awareness through metrics and reporting, you can increase the adoption of green cleaning programs. The takeaway is that we need better metrics and reporting on green cleaning in all states. States that are considering green cleaning policy need to include surveying and reporting in their policy development. And perhaps the most important thing is that we need to publicly inform our communities about the effectiveness of their school green cleaning programs. Remember, data—and awareness—matters. One of the most interesting data points that the USGBC pulled out was a review of the Center for Disease Control and Prevention (CDC) School Health Policies and Practices Study (SHPPS). This study is a national survey conducted every few years and is designed to assess school health policies and practices at the state, district, school and classroom levels. In 2012, for the first time, CDC included questions on state green cleaning policies. 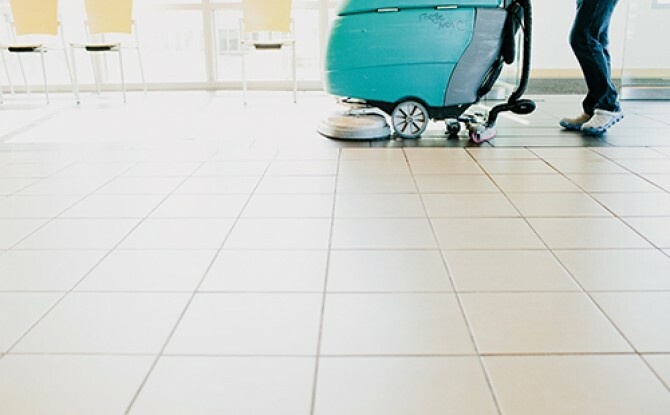 The CDC asked if states have developed policies for green cleaning, have promoted green cleaning policies or have provided technical assistance for schools. In its report, the USGBC compared responses between states with and without green cleaning policies. The data is pretty clear. Simply put, by having a green cleaning state policy, states were two to three times more likely to provide policy support, technical assistance and guidance for schools to implement green cleaning programs. While this isn’t the same as saying “these schools are green cleaning,” it shows that the state laws are having a real impact at reducing barriers for schools to adopt green cleaning programs. The bottom line is: We need more green cleaning state policy. There is no reason to be content with the 10 states that have green cleaning laws. We can do more. State policy is a major factor in seeing green cleaning truly adopted across the country. So, let’s send out a heartfelt thank you to the USGBC for taking the lead on this analysis. This is the type of actionable information that can reinvigorate advocates to get involved and take steps to create policy that supports school and student health.